During Pre-Entry, nominal Cruise Communications are used. The Cruise Stage provides X-Band Communication with the Deep Space Network Stations on Earth at a rate of about 500 bits per second during Pre-Entry via its Medium Gain Antenna. At the point of Cruise Stage Separation, Communications switch to the EDL Mode during which Low Gain Antennas on the Backshell, Descent Stage and Rover are used. The Backshell is equipped with a regular Low Gain Antenna and a Tilted Low Gain Antenna that is used when the nominal antenna is blocked by the Parachute. The Descent Stage is outfitted with a single Descent Low Gain Antenna that is active during powered descent. Aboard the Rover itself is a High Gain Antenna which is not used during EDL and a Low Gain Antenna that is used immediately after EDL or during final Descent should the Descent Stage Communication Assets fail. hese low gain antennas send a Direct To Earth X-Band Frequency that will be monitored by the Deep Space Network. Data sent via this link is of a very low rate and only consists of MFSK Tones also called semaphores. These are not so much tones, but small portions of data that can be deciphered to a tone. Each timeline segment of EDL has a unique set of nominal and off-nominal tones assigned to it. There are a total of 256 different tones that can be sent to Earth. These tones can be converted to useful information about the basic status of the vehicle and the completion of EDL Events, but can’t be considered real telemetry data and are only used to provide insight into the progress of EDL. MSL’s antennas will also provide a UHF Signal during EDL which has a data rate of up to 8kbps and includes basic vehicle telemetry that is sufficient for failure analysis, but is still no complete EDL Engineering Data Set. A UHF Antenna with 8 patch antennas is mounted on the Backshell and provides a solid data stream during EDL. The Descent Stage has a single UHF Antenna and the Rover is also outfitted with a UHF Antenna that can be used during EDL. The UHF Frequency will be picked up by the Mars Reconnaissance Orbiter and the Odyssey Orbiter as well as ESA’s Mars Express that will be attempting to record or follow the UHF Signal. Odyssey also has the capability of directly relaying the UHF Telemetry Stream to Earth via X-Band and its more powerful antennas. ODY is the only Orbiter capable of providing bent-pipe communications. At the time of Entry, the exact Communications Delay will be 13 minutes and 48.04 seconds. The UHF data stream and the X-Band Tones could experience several drop-outs during EDL that are expected, but they can experience additional outages due to unforeseen conditions. Loss of Signal is expected for a 1-second period at Cruise Stage Separation and the switch to the Low Gain Antennas of the Backshell during the Maneuver to the Entry Attitude. During the Peak Heating Phase, a plasma envelope forms around the MSL Vehicle that causes an UHF Blackout of 25 to 100 seconds. X-Band tones are uninterrupted at that point. After parachute deployment, X-Band Tones are no longer received on Earth because MSL is no longer visible from Earth and its DSN Stations. Tones are sent throughout EDL, but won’t be heard since Earth will have set at the Landing Site. The exact moment Earth Occultation should occur is 5:29:45 UTC Earth Receive Time. UHF should be solid at that time. At the Point of Backshell Separation, Communications are changing to the Descent Stage UHF and Low Gain Antennas which are blocked by the Parachute for 1 to 6 seconds. The final expected Communications Drop Out comes at the moment of Rover Separation when UHF Communications switch to the Rover UHF Antenna. Because real time telemetry is limited during EDL, the MSL Spacecraft will store a full EDL Telemetry and Engineering Data Set in its on-board memory. This data will have a rate of 100Mbit/s and include all vehicle parameters from EI-10 Minutes to Touchdown +1 Minute. This data set is downlinked to Earth during the first few Sols of Landed Operations. MRO has the most favorable pass during MSL’s EDL Sequence, but its data will arrive on Earth later than data from the other two assets in Mars Orbit. During this pass, MRO will record UHF Data Frequencies along a broad range and not decode them. The data will be stored aboard the Orbiter’s Mass Memory for downlink. Real-Time Bent-Pipe Communications can not be supported by MRO. Recording a range of frequencies is valuable for analysis in the event of a failure since they don’t depend on everything going according to plan. One major drawback of this method is that a large amount of data will be acquired that needs to be processed before actual MSL Communications and Telemetry can be isolated which takes about 4-5 hours for NASA Teams to complete. After the first Communications pass is over, MRO will point its X-Band Antenna towards Earth and start relaying the data. This is planned to occur about 4 to 5 hours after landing. Data processing will be finished about 10 hours after landing to make data products available. 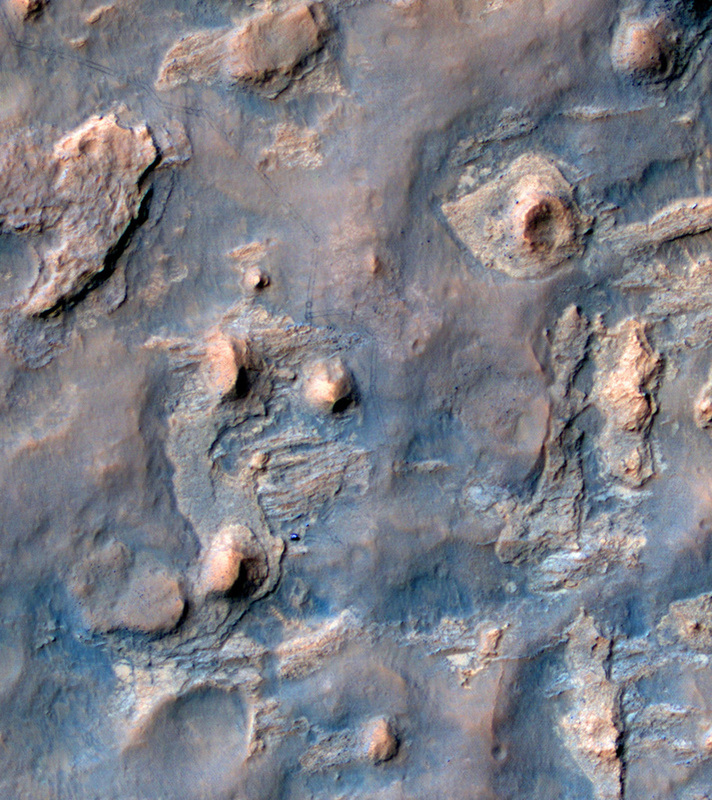 During the EDL MRO Communication Pass, the HiRISE Instrument of MRO will attempt image MSL during the final stage of its Descent similar to be picture of Mars Phoenix acquired several years ago. This is not a given and teams have provided 60% odds that they will get an image with MSL visible in the frame. This image data should be on the ground within 24 hours after landing. Further down the road, MRO has another scheduled Communications Pass with the landed MSL Spacecraft at 18:40 GMT on Landing Day to receive Telemetry and Data from the Rover. Odyssey is the most important communication asset regarding real-time telemetry data. ODY will provide bent-pipe relay of the 8kbps UHF data stream in real time via its powerful X-Band transmitter. This signal will be picked up by the Deep Space Network and used by NASA for real time updates. With UHF Data available, a basic representation of the vehicle’s state (altitude, velocity orientation and computer statuses) can be provided with a frequency of about 1Hz. Odyssey can only relay UHF signals that make it to the Orbiter, so during UHF outages, for example due to plasma clouds forming during entry, no data is relayed to Earth and MSL is LOS, Loss of Signal. The ODY EDL Communications pass begins well before Entry and continues for 2 to 5 minutes after touchdown – depending on when touchdown actually occurs within its uncertainty window of about +/-60 seconds. 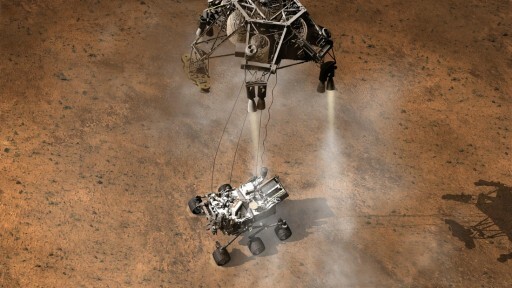 Following touchdown its is hoped that ODY can relay the confirmation of the Rover transitioning its Computers to Surface Operations which is the confirmation of a successful landing. In addition, if time permits, the Rover, once transitioned to Sol 0 Operations, will immediately acquire Rear HazCam Images and transmit a thumbnail of these via UHF. Following the EDL Comm Pass, ODY will relay the stored UHF Telemetry Data at EDL+90 minutes to make sure it arrives on Earth if it hadn’t already in real time. At about 7:30 GMT – EDL+2 hours, ODY will have the next communication pass during which the Rover will transmit a health report and possibly a few more thumbnail images. 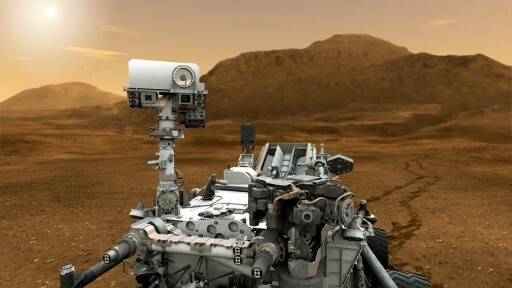 At EDL+13 Hours, ODY has another Pass to communicate with Curiosity. ESA’s Mars Express could play a minor role during a completely nominal EDL Sequence, but it will acquire valuable data in case something goes wrong with the communications infrastructure during EDL. MEX will not receive any data, but it will record the presence of MSL’s UHF Stream as a function of time which can be used to indicate up to which point UHF was available, meaning the rover was alive. If UHF was present all the way down to the surface, MEX will register that and provide time-stamped data to confirm that the Rover made it. Should the UHF stream be interrupted before landing, MEX can register that as well. With that, MEX data could become the data that confirms the landing outcome if ODY’s Bent-Pipe fails because MEX data arrives on Earth first. Immediately after recording the UHF Stream’s presence, MEX turns towards Earth and transmits the data it acquired to ESA’s New Norcia Ground Station. It will be passed to NASA at 6:42 UTC – just 71 minutes after the Earliest Earth Receive time of the landing signal in real time. 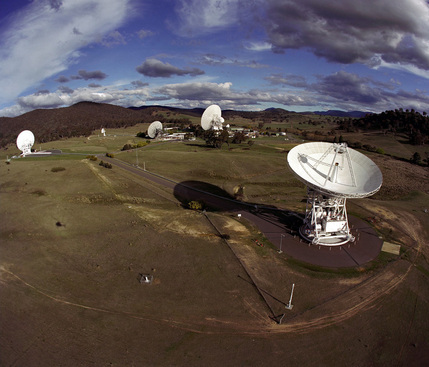 During Pre-Entry and EDL, Mars is in the field of view of the Deep Space Network Station in Canberra, Australia. 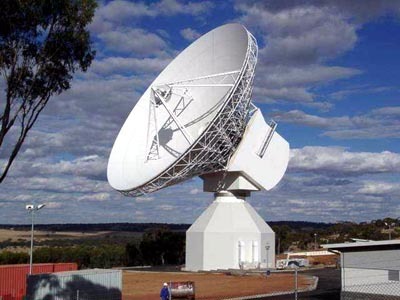 The Deep Space Station 43 which is the 70-meter dish at Canberra DSN is prime for MSL X-Band Direct to Earth Communications and MRO Communication Sessions. Deep Space Station 34, a 34-meter dish, is in charge of providing the crucial Odyssey Data that contains the real-time UHF Telemetry. It will also be locked onto MSL’s X-Band tones. The Deep Space Station 45 (also a 34-meter dish) will be backup for all three Communication Assets: DTE, MRO and ODY. ESA’s New Norcia Station north of Perth, Australia, will be providing support during MSL’s EDL Mission Phase. Teams at the Station will receive and Record X-Band Data from MSL starting at 4:25 UTC and continuing throughout EDL until 5:40 UTC when X-Band will have been unavailable for several minutes due to the Earth Occultation. 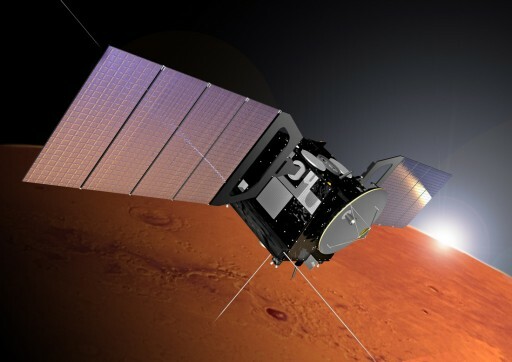 It will also be used to receive the Mars Express Data from 6:15 to 6:40 UTC. New Norcia will relay the MEX Data to ESA’s ESOC Center in Darmstadt, Germany, from where it will be sent to NASA within two minutes of acquisition. For the purposes of MSL EDL, New Norcia is designated Deep Space Station 32. The Parkes Observatory, 20 Kilometers north of the town of Parkes, New South Wales, Australia will be attempting to listen to the faint UHF Signal coming from the MSL Spacecraft. Technology and Techniques for this were tested by having Mars Exploration Rover Opportunity send a UHF Test Signal which was successfully picked up by the dish. For EDL, the UHF Signals recorded by Parkes will not be sent to NASA in real time. The data will be stored and only relayed if needed. For MSL Support, Parkes is designated Deep Space Station 49. 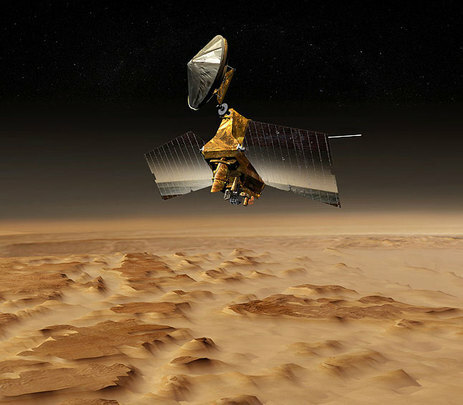 After touchdown, MSL sends a Landing Sequence Complete Signal and switches to pre-planned communication modes which involve Direct To Earth Communications and Mars Orbiter Communication Phases. 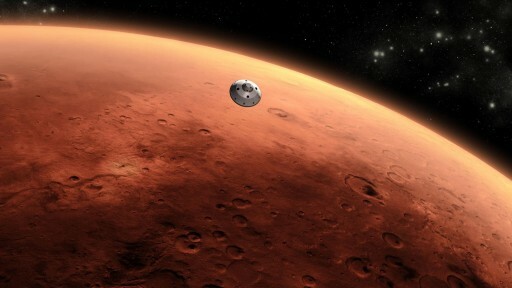 All Communication windows of the initial Surface Operations Phase are loaded into the Flight Computers during the Cruise to Mars so that initial contact opportunities are not mandatory. Confirmation of a successful Landing could reach Earth in ‘real time’ with the nearly 14-minute delay should communication angles be favorable after touchdown. 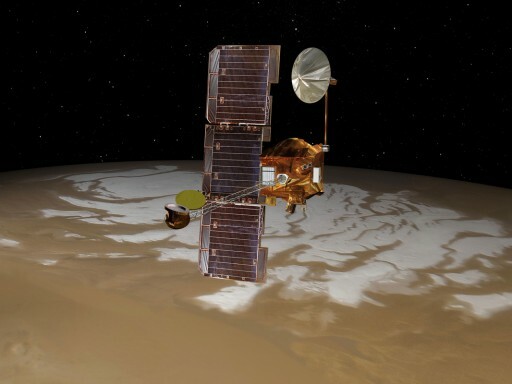 In case of any blockages due to geological features (Rocks, Craters, or MSL landing on a slope facing away from Earth), confirmation of a successful touchdown could take several hours if a communications pass with one of the Orbiters is needed. 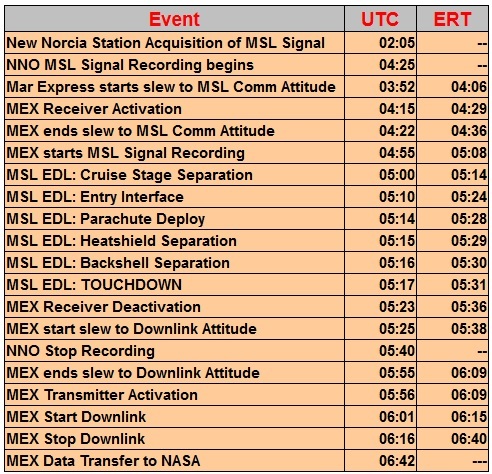 Should ODY UHF Relay not be sufficient to confirm the outcome of the EDL Sequence, the MEX data will give as much insight into the procedure as to which point the Rover was definitely alive, but this data won’t be enough to determine a failure with 100% accuracy. In case real-time telemetry is unavailable, the next opportunity to get data from the Rover during EDL is the ODY Replay at EDL+90 Minutes, and the ODY pass at EDL+2 hours as well as the MRO data that becomes available at EDL+10 hours followed by the EDL+13 Pass by MRO and ODY. It is possible that the Rover is on the surface and is for some reason not able to send UHF Signal which make it impossible to confirm the landing with the Orbiters. In that case, confirmation of Landing Success comes at EDL-19 Hours, at 00:30 GMT on August 7 when the Deep Space Network will pick up direct communications with MSL. At that point, MSL should be sending an EVR – Event Record – to Earth using its X-Band antenna, presumably the Low Gain Antenna. This EVR is a short coded message that indicates when and where the Rover has landed. This DSN Communications Session should be giving confirmation of Landing success in case all other communication paths a have not worked. Once the High Gain Antenna is deployed and pointed towards Earth early GMT on August 7, real telemetry can be sent via Direct To Earth Link. In case of a nominal EDL Sequence with live lock on Odyssey and sufficient time left in the ODY Pass following landing, a small 50×50-pixel rear HazCam thumbnail image that is acquired immediately after landing could be sent to Earth. If not, the first small thumbnails of HazCam imagery would be downlinked to Earth during the EDL+2-hour ODY Pass. 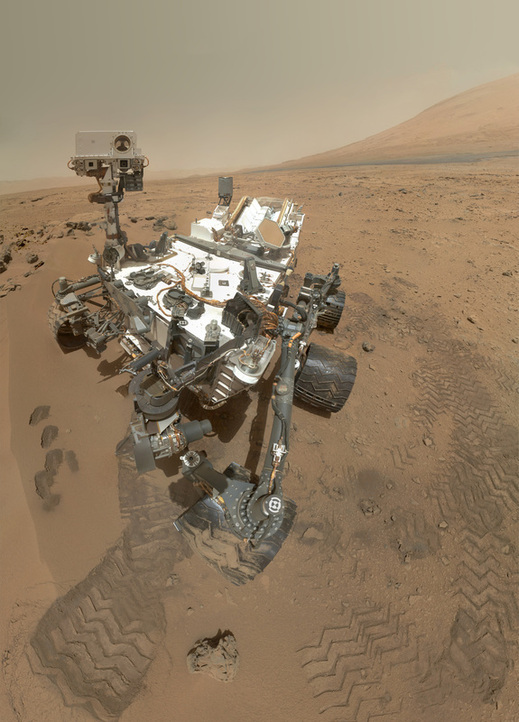 On subsequent Communication Passes, a 512×512-pixel HazCam image will be downlinked. 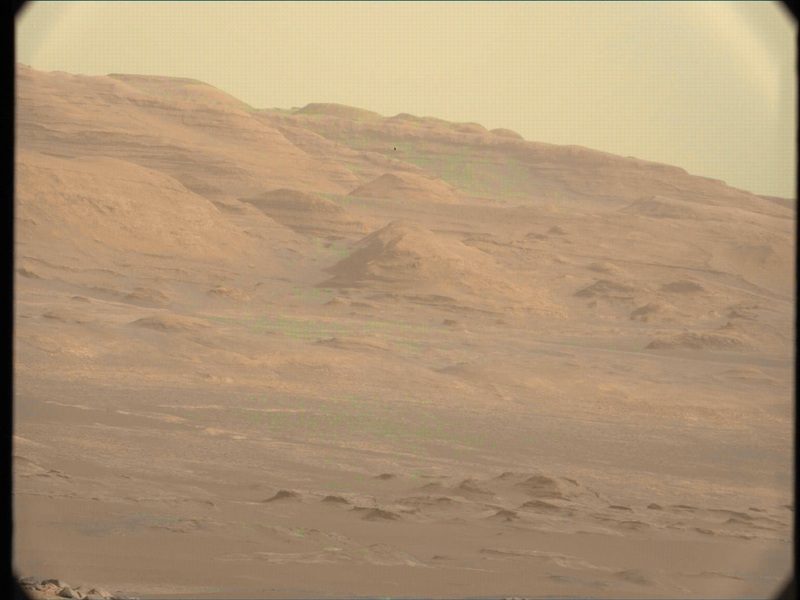 When Curiosity is healthy on the surface, the first MARDI – Mars Descent Imager – thumbnails would be downlinked on August 7. 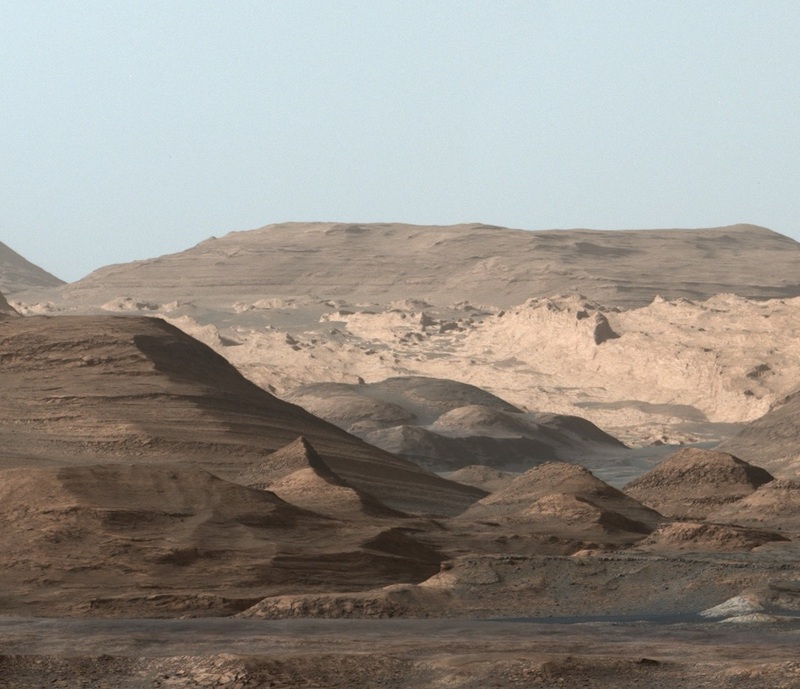 The next day should be the day the first color image of Gale Crater comes down. This will be acquired by the Mars Hand Lens Imager which is on the turret of the Robotic Arm of MSL that will still be stowed at that point in time. That means that MAHLI is looking directly to the side and could acquire an image of Gale Crater or Mount Sharp depending on the position MSL lands in. On August 9, MSL will have deployed its Mast and take its first NavCam Panorama which will partially be downlinked to Earth. Should anything off-nominal occur during EDL or the first Sols of the Mission, images will be delayed since operational communications have priority.